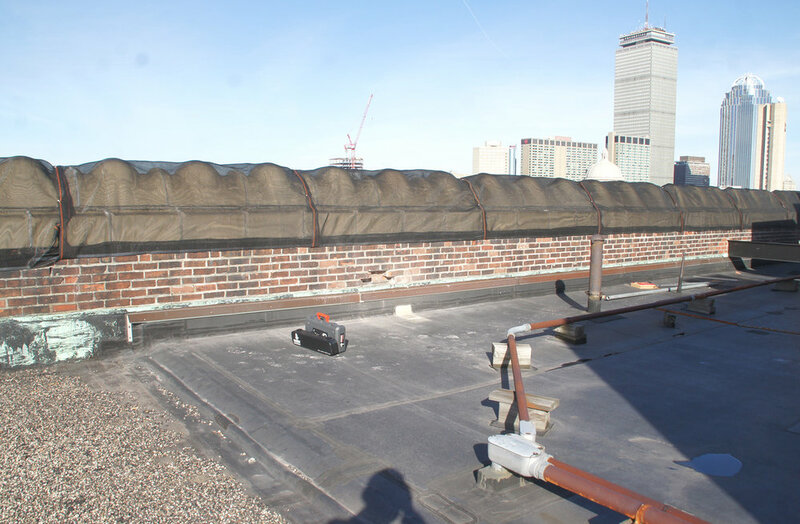 Project Size | Roof Replacement: Approx. 7,500 s.f. ; Parapet Wall Restoration: Approx. 250 ln. ft. 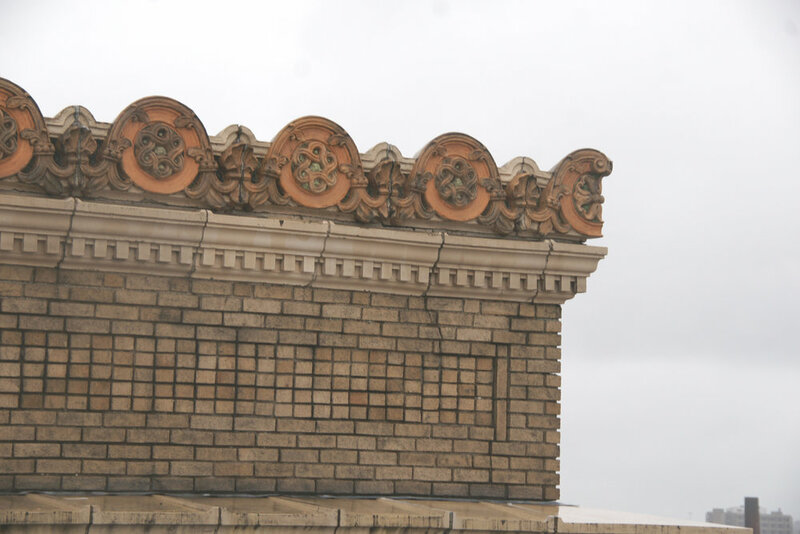 Removal and replacement of the terracotta cornice and parapet wall including terracotta cap stones and mass masonry required removal and replacement. The first phase involved designing a temporary netting to go over the parapet wall for the coming winter. The next phase was the demolition and framing of a temporary wood sheathing enclosure. 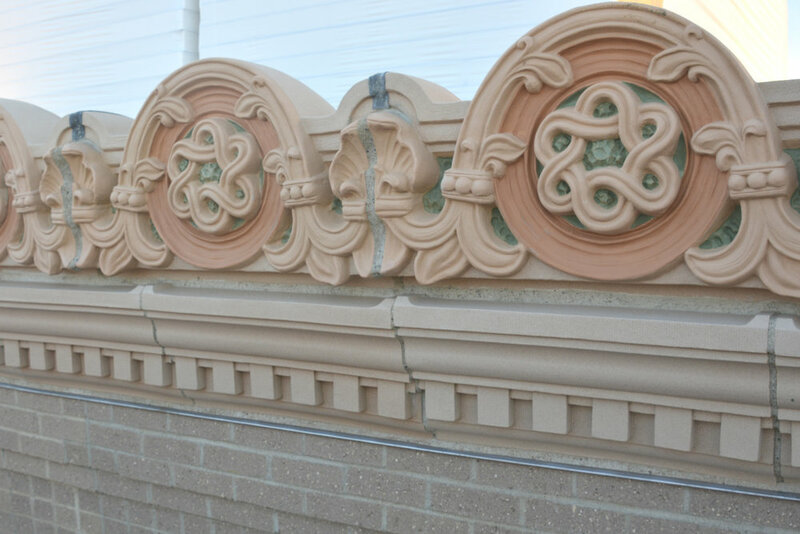 The final phase involved the historic restoration/rebuild of the removed terracotta units and brick masonry. This involved the temporary shoring of the existing roof structure so the terracotta and back up masonry could be removed and replaced. Other limited exterior wall restoration and removal and replacement of existing roof systems. The entire project was completed while the building was owner occupied. Peer Review/Building Envelope Consulting: Below grade waterproofing review all the way through to high voltage roof membrane testing.